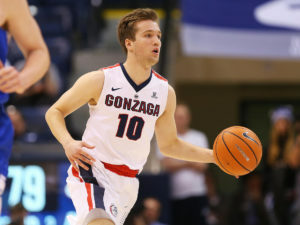 Utah native, Jesse Wade, an LDS returned missionary is a freshman guard for the Gonzaga Bulldogs (#10) at Gonzaga University, a private Roman Catholic university in Spokane, Washington. One of the things that causes Jesse to stick out at the school is the fact that he manages to juggle basketball, classes – and marriage. Jesse is married to Jade Wade. He is from Kaysville, Utah, and is 20, and Jade is from Colchester, England, and is 22. She moved to the United States last summer and she and Jesse were married in August 2017. The two crossed each other’s path almost two years ago when they met in France during Jesse’s mission. Jade was also serving an LDS mission at the time. 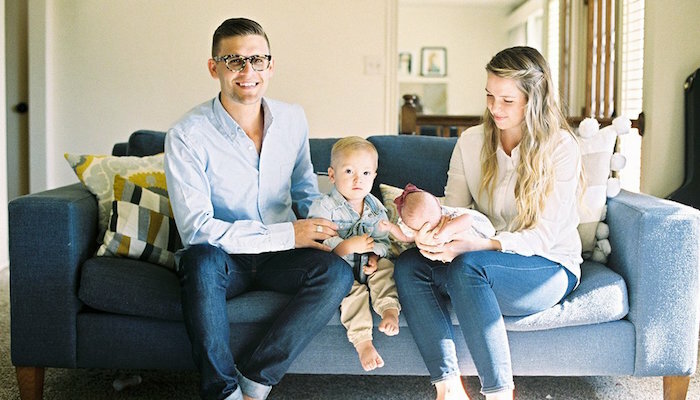 Jesse’s two-year mission for The Church of Jesus Christ of Latter-day Saints to Lyon, France, immediately after high school prolonged his collegiate basketball career by two years. 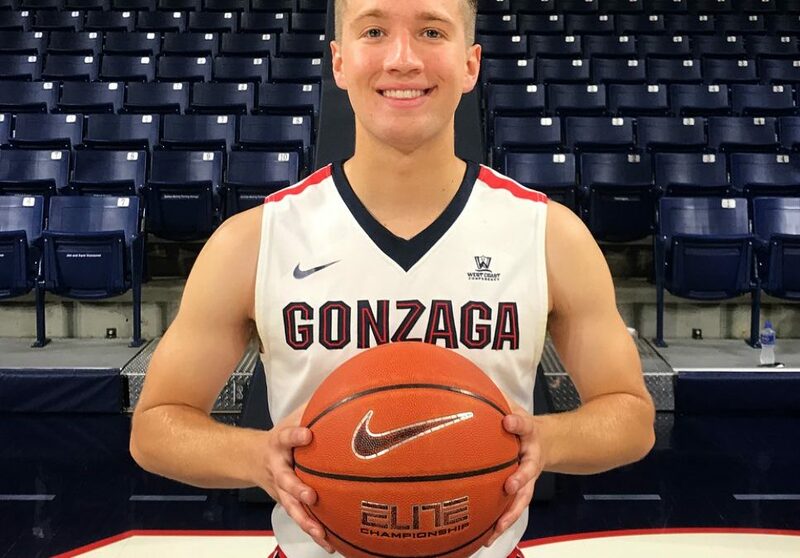 At a college like Brigham Young University (BYU), no one would think twice about Jesse being a married collegiate athlete, but at Gonzaga, it is indeed rare. Jade did not have much knowledge or understanding about the game of basketball prior to their marriage, but Jesse has found ways to make sure she feels like she is a part of the Gonzaga family. Now, she is almost like the “team wife” and considers her husband’s teammates to be like her brothers. 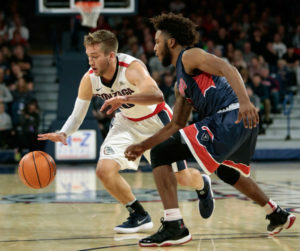 According to a 25 February 2018 Deseret News article, Jesse Wade, who was voted 2015 Utah Mr. Basketball, received a hero’s welcome at a BYU game in Provo, Utah, where the Gonzaga Bulldogs won 79-65. Jimmer Fredette Scored 92 of 100 Three-Pointer Shots for Charity 12-Year-Old Jude Stamper’s Dream of Being a Part Of a Sports Team Comes True Abraham Thomas and Emmanuel Martinez Cover “Tears in Heaven” LDS Couple Featured on Forbes.com for their Successful Business Startup Which Mark-and-Lindsey dance are you?